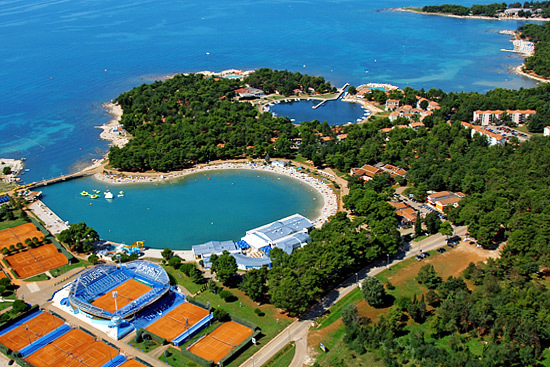 Camp Adriatic is situated 2 kilometres from little town Primošten, one of the most popular tourist destinations in Croatia, famous for its beautiful beaches and crystal clear sea. 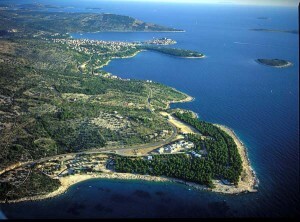 Nearest bigger city is Šibenik which is 25 kilometres from camp Adriatic. 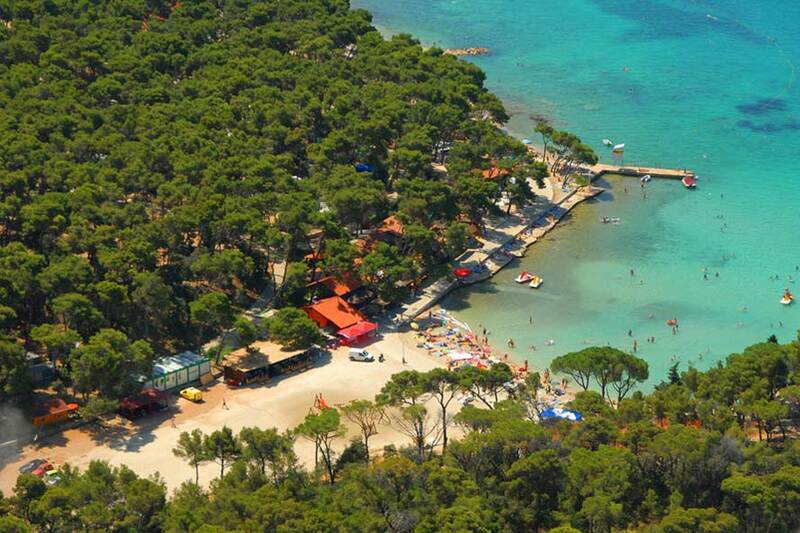 Camp is located in old pine forest in near vicinity of the sea with camp beach which is 1 kilometres long. Camp beach is one part sandy which is ideal for kids, while other part is rocky which is ideal for little privacy and naturist tanning. 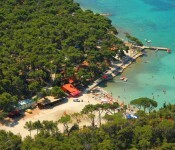 Total capacity of camp Adriatic is 1600 guests. Only 3 kilometres from camp there is entertainment complex Aurora, with one of the most famous discotheques on Adriatic coast. 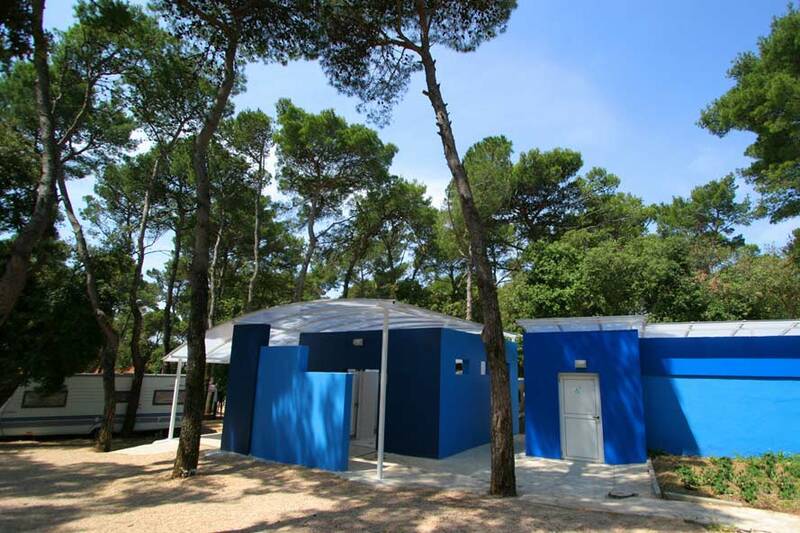 Camp Adriatic offers 24 hour working reception and exchange office which works from 7 to 21 hours. There are four lavatories equipped with washbasins, shower cabins, toilets, toilets for disabled persons, dish washing area and laundry with washing machines. In addition trough out the camp there are chemical toilets and waste water disposal containers. Camp have one A la carte restaurant with possibility of full or half board, and one coffee bar with TV and Internet connection. Every night on restaurant terrace there are live music and other entertaining performances for guests of the camp. Camp Adriatic also offers entertainment during the day for kids and adults with professional animators. Next to the camp beach there are courts for beach volley ball, tennis and mini soccer. On the beach there is diving centre and other services that includes renting canoes, paddle boats, wind surfing boards, beach chairs and sun umbrellas. 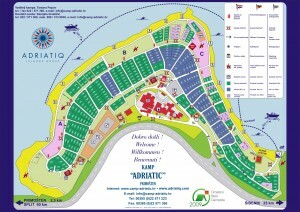 Camp Adriatic also provides organized transportation to the town Primošten, by sea or by land. Market is also available in the camp with supply of everyday needs like food, drinks, newspapers and beach accessories. Half of the camp Adriatic is divided into pitches of 110 square meters while other half is for random camping places (tents). All pitches have electrical connection while 80 pitches have also water and sewage. 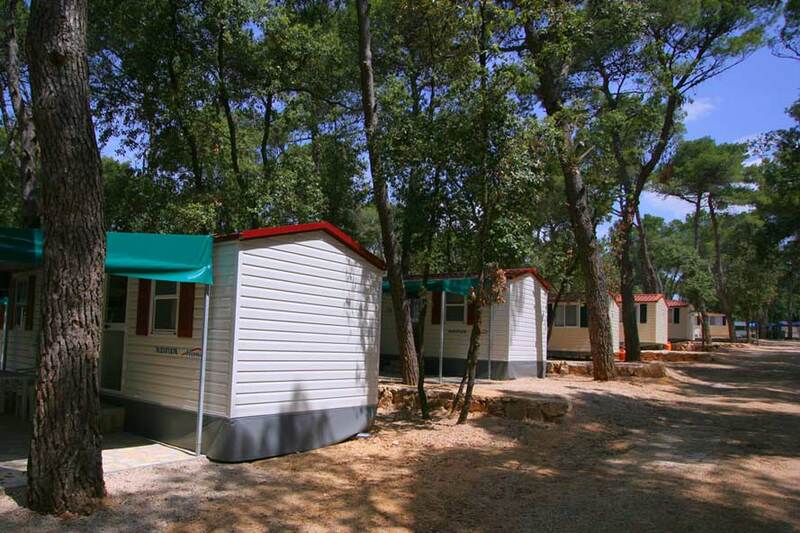 For guests without their own accommodation camp Adriatic offers caravan houses for renting (Type Knaus Eifelland holiday 520). All caravans have capacity of four persons, and all have electrical connection, water and sewage. 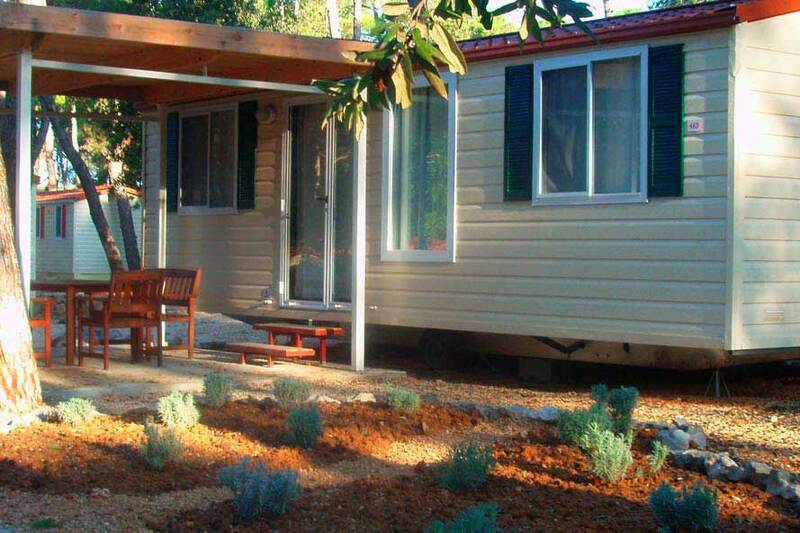 They are located in the middle of camp, only 30 metres from reception and beach. 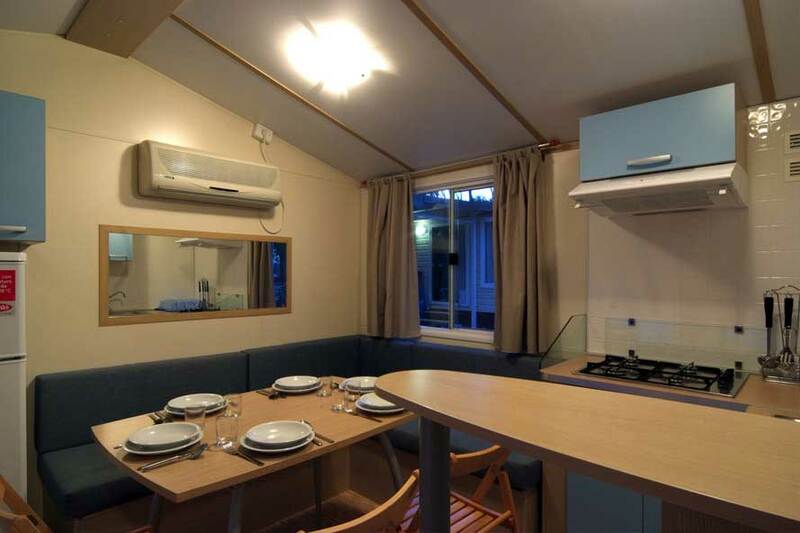 In addition to caravans there is closed tent (can be open) in front of them with chairs and tables, and inside they are equipped with bed linen and dishes. Caravan renting is possible on weekly base – every Saturday until 10 am. 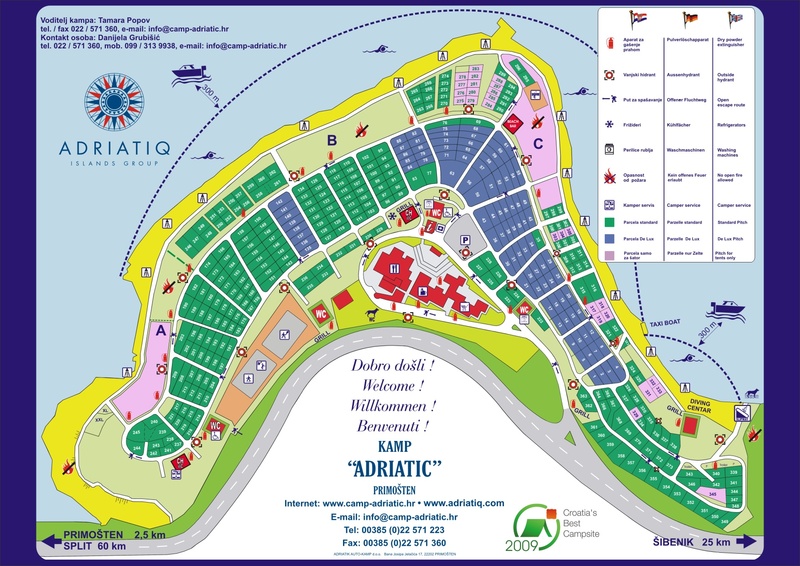 Camp Adriatic also organize excursions to the some of the interesting places in area like town Primošten, small villages Primošten Burnji and Primošten Južni, cities Šibenik, Trogir and Split, National park Krka and National park Kornati.